An inspirational science and craft kit for the whole family - 4M 3D Solar System Mobile. Spans over 42cm x 60cm once built. Hang it from the ceiling and watch as it revolves and glows in the dark. 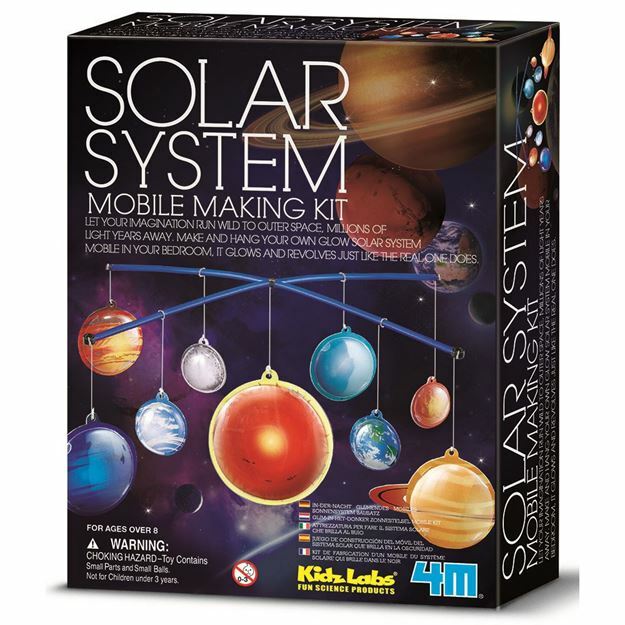 Includes: a set of plastic snap to build solar system planets, hanging structure and lines, 2 paint strips, 2 glow paints, a bonus wall chart, accessories and detailed instructions. Age 8+ years. Distributed in New Zealand by Holdson.